Official Massive adidas Men's Condivo Shorts. The Massive Men's Condivo Game Shorts is a comfortable team short with elastic waist. Inner lining. Embroidered logo. Climacool moisture control. 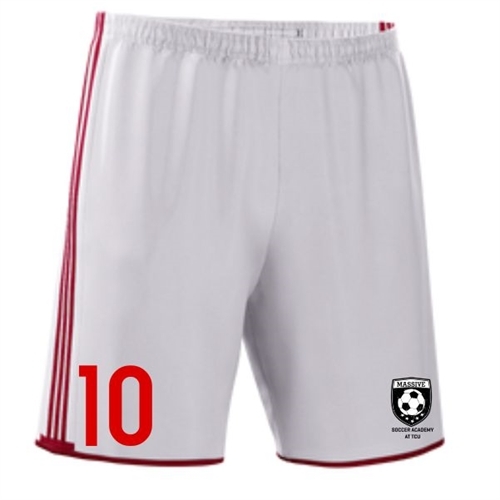 Official Massive adidas Men's Condivo Shorts. These shorts are made for game day. They will sport the massive logo and your chose of number. These shorts will keep you cool and sweat free. This item is a custom item from the manufacturer. Orders can take up to 60 days to complete due to factory guidelines.